Key Gear Carabiner Combo Lock Blue | BUDK.com - Knives & Swords At The Lowest Prices! The Carabiner Combo Lock from Key Gear is just perfect for securing luggage, lockers and other gear. It will keep your keys and other valuables safe and locked up. 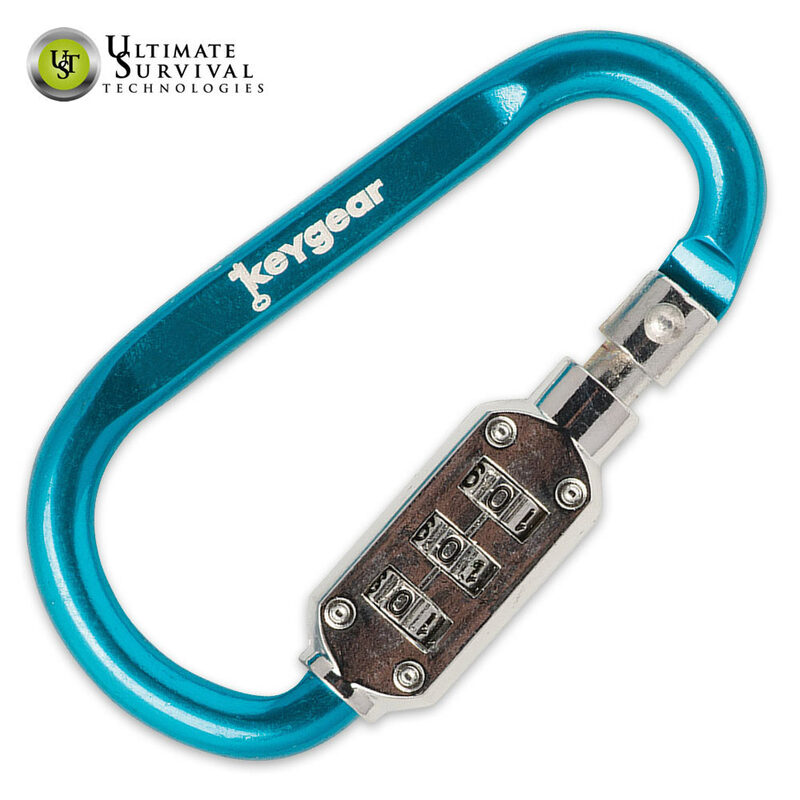 It features a resettable 3-digit combination lock and is constructed of a strong aluminum alloy in blue. Three-Pack Tactical Webbing Clips - Nylon Webbing And ABS Construction - Dimensions 4"x1"